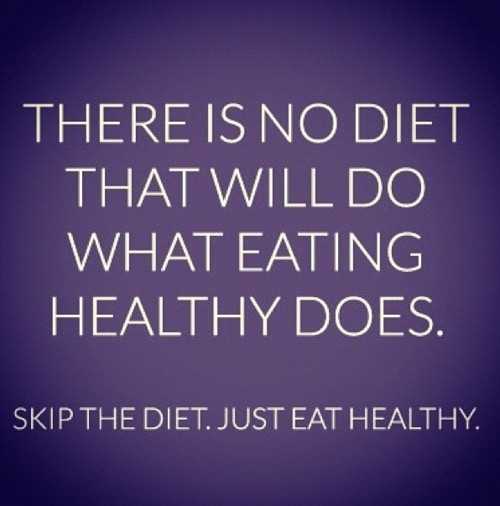 After learning just how important it is to eat healthy, I really started to focus on nutrition. I felt like exercising got me no where until I changed my diet. A quote that I love from fitness instructor Chalene Johnson is "Abs are made in the kitchen." It doesn't matter how much you exercise, if you choose to make unhealthy choices, the weight will not come off and your body will not get toned. As a result, one of the ways I begin each week is by planning out my meals for both me and my family. I like to sit down on either Saturday or Sunday morning (depending on when I will be going grocery shopping) to search for some new recipes and make my list. I like to look through my growing list of Clean Eating Recipes, and I also like to spend some time searching for new recipes as well. A goal of mine is to try at least one new recipe each week. 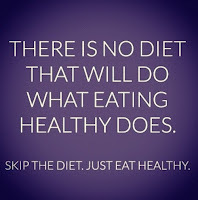 By making the commitment and taking the first step of focusing more on your diet and nutrition, you will get results that will lead you on the right path to losing weight, gaining energy, and living a healthy life. I tend to be a creature of habit when it comes to breakfast. I really like drinking my Shakeology for breakfast because I feel like it gets me going in the right direction of a healthy day, not to mention the endless benefits and yummy taste! I'm very thankful for Shakeology because I admit I'm not a huge fan of vegetables and I know Shakeology is giving me the daily dose of nutrients I need for the day. It helps that it keeps me full for 2 1/2 to 3 hours as well because I feel like my mornings are crazy! As for lunch, I tend to stick with my typical Greek Yogurt and berries, but this week I am switching it up. 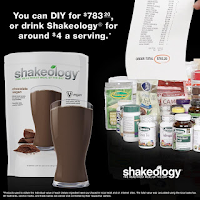 I have various plans throughout the next week and drinking my Shakeology for lunch will not only be a better choice, but an easy on-the-go meal. I love to snack, and my favorite snack is 1 tbsp. of all-natural peanut butter on two whole grain rice cakes with either 1/2 a banana or a handful of raisins. My daughters love this snack too, so it's nice to be able to all eat the same snack! I also like to include a couple cups of raw veggies and hummus as an afternoon snack. I think my two year old could eat an entire container of hummus if I let her! Hummus is definitely not something that I even considered buying in the past. As for the evenings, I don't always eat a snack, but I like to have one planned out so that I don't just go to the pantry and make a bad choice. I like to keep it simple with an apple and 14 almonds. As for dinners, I like to find and try recipes that are easy; so, I can guarantee that if I post a recipe on my blog, it's easy! I used to dread dinner time every day because I never knew what to make. 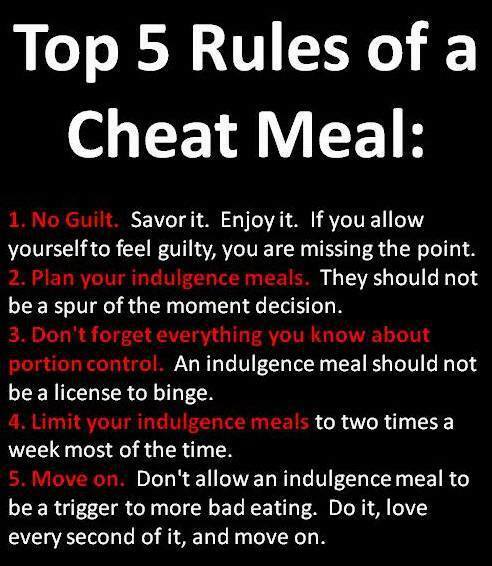 As you can see in my plan, I also include a cheat meal every week, typically on Saturdays. 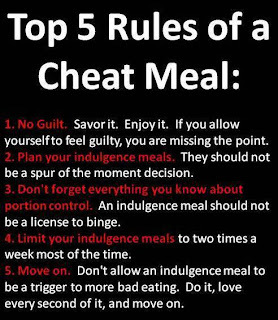 Check out the top 5 rules of a cheat meal below. It has been such an easy addition to make meal planning a part of my weekend. Now, I always know exactly what we are having. So here it is! This is what's on the menu for the week! Once I complete it, I always print it out and either keep it on the counter or on the refrigerator. I then take about 30 minutes to cut up my veggies, portion everything that I can out, and do whatever dinner prep possible. Aside from meal planning, something else that I keep in mind is making sure I drink enough water. 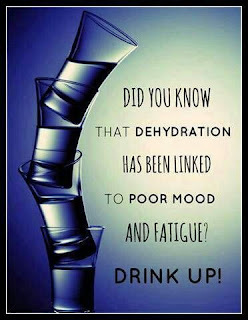 A good tip: drink 1/2 your body weight in ounces every day! Not only does it help in keeping you hydrated, but it also keeps you full and healthy. Sometimes the feeling of hunger is just your body's way of telling you that you are thirsty! So there you have it! That's the meal planning process that I follow. It seems like a lot of work, but once you get into the habit, it becomes second nature. 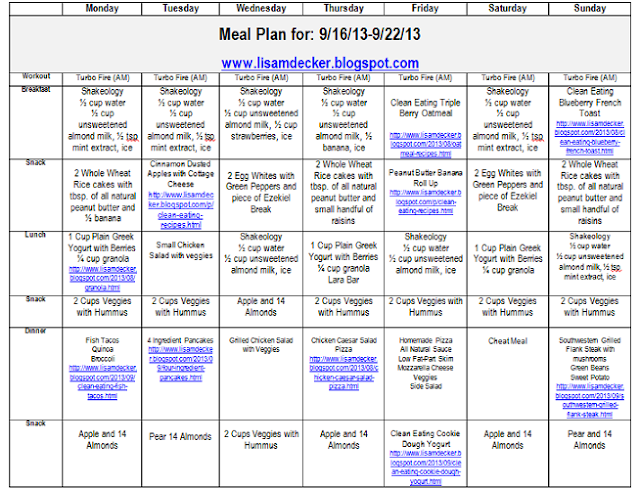 It is amazing how much time you can save when you know exactly when and what you are eating throughout the week. 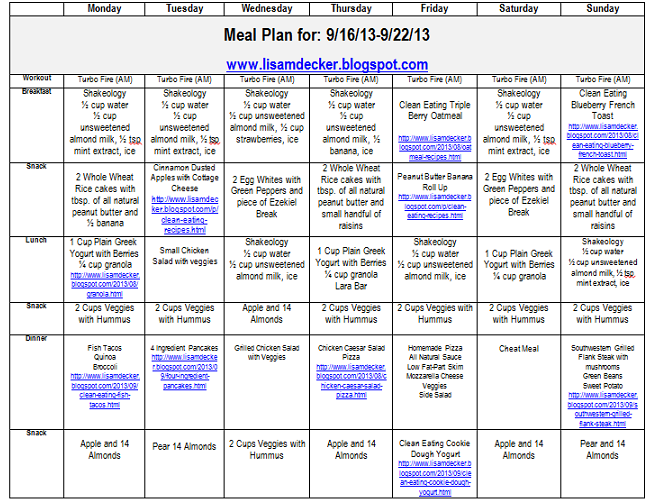 Do you need help with planning out your meals and figuring out how to incorporate it into your family's lifestyle? Do you need support, motivation, and accountability to help you reach your health and fitness goals? Contact me about joining my next challenge group that incorporate Shakeology, Meal Planning, and more! Click Here to learn more about the group beginning September 23, 2013. I would be happy to give you information and help you figure out if it's the right choice for you!